What&apos;s your favorite treat? Popcorn is definitely one of mine! And there is no better time to try out some new popcorn recipes like the weekend! Sunday is a day to relax and just spend time together at my house and I love treating my family to something special. That&apos;s where these must try popcorn recipes come into play. Sure, you can pop a bag of corn in the microwave, but why not think bigger? There are so many fun ways to dress up popcorn! An evening movie sesh probably isn&apos;t in the works being that it&apos;s a school night, but how about an afternoon one? 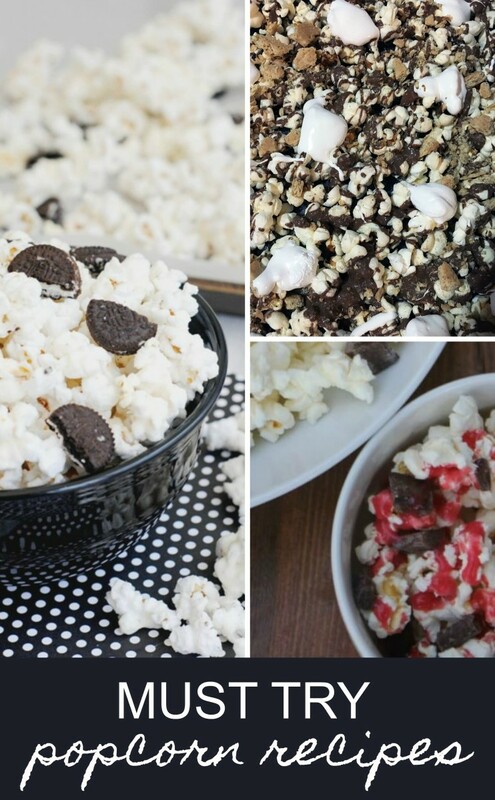 Make one of these must try popcorn recipes, curl up on the couch and enjoy some snuggle time with your fam! 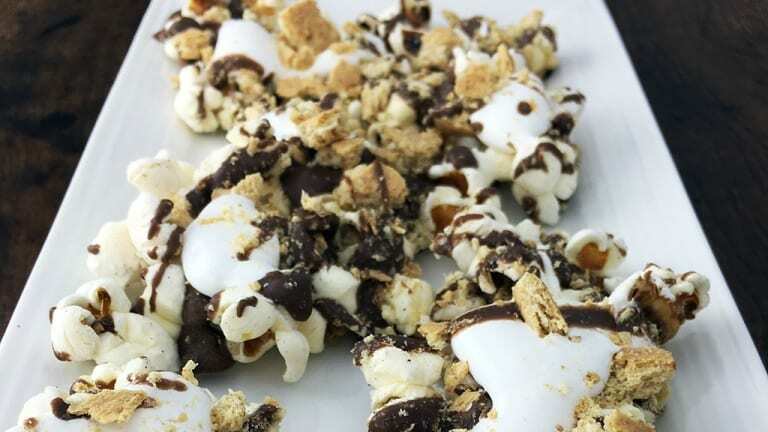 S&apos;mores Popcorn...If there is anything I like as much as popcorn, it&apos;s s&apos;mores. Did you know you can combine the two? How good does that sound? Well, let me tell you, this popcorn recipe tastes as good as it looks! I&apos;m talking, chocolate, marshmallows, graham crackers...the works! 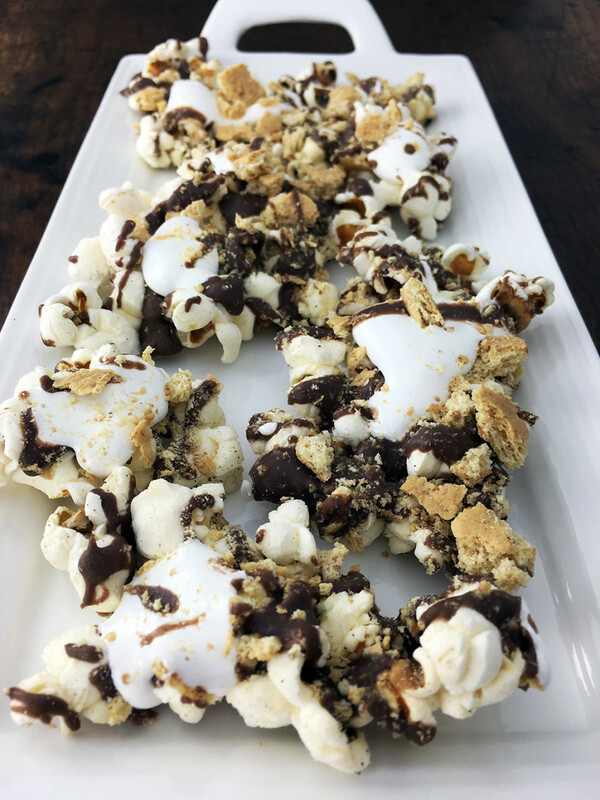 White Chocolate Oreo Popcorn...I mean I thought combining s&apos;mores with popcorn was a good idea, but OREOS...Be still my heart! And the white chocolate is a nice addition as well. Plus, this recipe couldn&apos;t be any easier. You&apos;ll spend hardly any time in the kitchen, yet seriously impress your family! Raspberry Chocolate Popcorn...You&apos;re probably sensing a theme here, but chocolate just goes so well with popcorn. Bwah! And what&apos;s another match made in heaven? Chocolate and raspberry of course! This must try popcorn recipe combines the two in such a delightful way, they&apos;ll be screaming for seconds! So, now that you&apos;ve seen some tasty must try popcorn recipes, are you ready to take a page out of this mama&apos;s book and serve up some super special popcorn to your loved ones stat? I knew you would be! And if you haven&apos;t quite gotten enough chocolate yet, check out our boozy mocha frappe! This one&apos;s just for you &apos;rents, but it&apos;s perfect to enjoy after the kids go to bed!